I’ve decide to give Dry January a go for the first time this year. I’m not usually a fan of dramatic “giving-up” programmes. Pyschologically, they don’t really work for me and tend to make me feel a bit miserable so I usually prefer a healthy, balanced “cutting-down” approach. Anyway, this year lots of my friends were doing the dry-Jan thing so I thought I’d jump on the bandwagon. December was fun but pretty indulgent and there’s no denying that cutting out booze can only have positive health benefits. 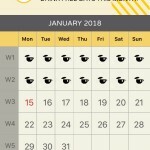 First of all I downloaded the Dry- Jan app and I get a little thrill each day when I click on my tiny cup of tea to see another day of sobriety done! The first 10 days were pretty easy although there was some excessive “eating up” of the Christmas chocolates that were still lingering around- I guess this is my in-built need to reward myself with something. Weekend 2 was harder but I made it through. It helped to have morning activities planned so I could reap the benefits of a good night’s sleep and no fuzzy head. I’m not a huge fan of soft drinks and usually stick to water or herbal teas when I’m not drinking alcohol but I’ve found some good alternatives that have some great health benefits too. Kombucha is a fermented black or green tea drink which may help to boost friendly bacteria in the gut. There are several commercial varieties which can be over sweetened. Some sugar is necessary to feed the SCOBY – (Symbiotic Culture of Bacteria and Yeast) to create a refreshing tangy fizzy drink. I opted for Pro Fusion which has a relatively low 4.5g of sugar per 100ml and is currently on special offer at Ocado. My favourite is the Maca, Coconut and Pineapple flavour and one bottle will last me a couple of nights. Next step will be attempting to make my own- all the rage in foodie circles- I just need to get my hands on some decent SCOBY. I don’t have a great track record with fermenting foods – the memory of eau de cabbage that lingered for weeks following my sauerkraut efforts won’t easily be forgotten. My other alcohol-free tipple of choice is deliciously tart Cherry Active – a concentrated Montmorency cherry juice which I drink diluted with sparkling water, plenty of ice and a slice of lime. The beautiful ruby red colour is very cheering on a cold January evening and drunk from a large wine glass it feels quite indulgent. Cherry juice has several reported health benefits. It is rich in anti-inflammatory antioxidants that may help with joint pain and swelling and is a good source of melatonin may help you sleep better. Many top-level sports people drink Cherry Active as they find it helps them to recover faster after training. It isn’t cheap about £1 a serving (cheaper than a glass of wine though) and you only need one glass a day to get the health benefits. You can also add a spoonful to oats, granola or smoothies. Yesterday I enjoyed a spicy tomato juice at the pub. Big Tom is a good brand as it comes already mixed with tabasco, Worcester sauce and celery salt and you get some of the eye-friendly anti-oxidant lycopene in there too! Think of a rainbow when eating fruit and vegetables. The more variety you eat, the broader the spectrum of nutrients you will consume.